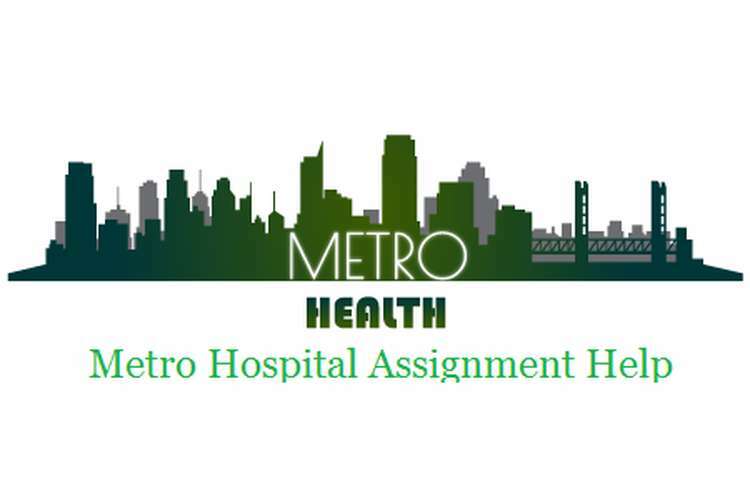 This is the solution of metro hospital assignment help in which we define various facilities of hospital like health care information system and electronic health record system, ecological, cardiovascular, and ophthalmological and ENT surgeries. Metro Hospital in Brisbane provides an exclusive package of health care to its service users which comprises of on ecological, cardiovascular, ophthalmological and ENT surgeries along with the facility of palliative care, maternity and child care. For the convenience of the patients, the hospital has adequate arrangements for the basic necessities of the patients such as the bed. This assignment, from the perspective of a health informatics professional, provides the appropriate strategies, technical factors, resources in order to reach the seventh level of the HIMSS EMR Adoption Model along with the consideration of the potential risk factors and its alignment to that of Queensland and Australia. I had always wanted to expose my talents within a fully electronic environment. Therefore, I, as the Health Informatics Professional, feel much elated on the achievement of the official order to take the status of the Metro Hospital to level 7 of the HIMSS EMR Adoption level. For the completion of this task, I need to create and develop proper agendas. This forms the crucial step in order to commence any kind of task. The agenda will comprise of the consideration of the available data and the resources (Perkins, 2010). On the basis of this consideration, I will plan out my next course of action. After the evaluation and assessment of the available data, I will conduct research so as to collect information on the rest of the three stages of the Adoption model as the earlier four stages has already been attained by the hospital. It makes me feel proud to emphasize on the fact that the adherence to the first four levels of the HIMSS EMR Model has acted as an assistance for the management authorities of the Metro Hospital in Brisbane to develop clinical protocols so as to extend full support to the service users through the provision of quality services. Moving forward from the assessment of the available data and the planning for the project, I will lay stress on the availability of the resources as well as the man power. This step will enable me to assess the time for the completion of the project as well as satisfy my further requirements of the resources (Berner, 2011). Along with this, I will also take into consideration, the potential risks which may prove as an obstacle in the process of the conduction of the research project. After undertaking all the available and the collected data as well as the availability of the resources and the estimation of the time into consideration, I will assign the necessary tasks equally among the employees and the team members, so that they are able to complete the task within the stipulated time. Finally, in order to ensure that the specified objectives is being properly catered to, I will monitor their performance. This will provide me with an assurance that I will be able to pave the way for the hospital to reach the ultimate level of HIMSS EMR Adoption Model and be able to provide more modern and technologically advanced and quality services to its users (Remley & Herlihy, 2012). The strategies and the agendas, that I have created and developed, acts as a guideline for me to proceed and progress with the research project. One of the crucial step that I have included in the process of the preparation of the research project is the execution of the allocated and the assigned tasks through the adherence of time management. On the basis of the arguments of Marth, (2013), I personally feel that time management forms an essential value that each and every individual should follow for the completion of any sort of task within the stipulated time frame. Prioritizing the tasks according to its importance bearing in mind the availability of the time limit will be my main focus. In order to enable the hospital with the seventh and the ultimate stage of the HIMSS EMR Model, my first priority will be to take into consideration the resources and the data available. The statistical data and records of the first four stages and level of the healthcare information and the process adopted by the hospital for its management will act as an assistance for me in this case. The evaluation of the process of the management followed by the Metro Hospital will enable me to get information on the laboratories, pharmaceutical stores and the clinical protocols developed and established by the hospital (Bieber, Richards & Walker, 2010). This will help me in making the necessary changes in the strategies and agendas that I have created for the completion of the project. Apart from the consideration of the relevant and the available data, my other priority will be to attempt and analysis of the time taken by the hospital authorities for the establishment of the labs, pharmaceutical stores, clinical protocols, clinical documentation. This analysis will help me in making an estimation regarding my capability and the ability to upgrade the status of the Metro Hospital to the seventh and the penultimate level of the healthcare services information and the creation of adequate management supporting systems by the stipulated time frame of 2025. As a Health Informatics professional, it makes me feel facilitated with the Electronic Health Record or EHR as it acts as assistance in the storage and restoration of the detailed healthcare information utilized by the service providers. But in some cases, these information’s are also used by the services users during the phase of their hospitalization within the context of the health care settings (Kazley & Ozcan, 2011). It makes me feel proud to point out that the installation of the clinical support decisions and protocols on the more technologically advanced systems instead of the paper based systems enable the administrators of the Metro Hospital to ensure a better, safe and quality care for the service users by the service providers. As a result, it improves and upgrades the standards and quality of the health care service through the intense monitoring systems. Moreover, the system of electronic health record systems provides the patients with the facility to get access to the information’s regarding the tests conducted for the detection of any serious illness and get reports. It also maintains the records and histories of the treatment, medication given to the patients. According to Median et al. (2012), apart from all these, the provision of electronic health record minimises the time taken for the receiving and payment of bills for the treatment and medication. In addition to the improvement and up gradation of the quality and consistency of the health care, the electronic health record also enables the hospital administration with the development and the maintenance of the staffs. This is executed by taking into consideration the ways and methods of managing and adjusting with the evolving cultural changes of the hospital. Along with the adherence to the evolving changes, the management of the hospital also caters to the improvement and the up gradation of the knowledge and skills and expertise of the staff so that they can cooperate with the management authorities of the hospital in the achievement of the customer satisfaction (Healthcare, Fischetti & Australia, 2013). This helps them in the creation and development of the necessary recommendations in the provision of quality health care services as per the requirements of the hospital. In order to implement new systems, I think that catering to the requirements of the proper and adequate processes and applications is of utmost importance. This helps in the realization of exquisite data collection and its generalization. Therefore, I feel that utilization of certain systems will enable me to make successful progression towards the achievement of the specified aims. Making use of the abstract application along with the accommodation of ICD-10, a revised edition of the International Statistical Classification of the Standards of Diseases and associated Health problems, would enable the team members to consolidate the application with a 3M encoder so as to get an immediate access to the reimbursement of the data related to the provision of quality healthcare to the service users (Carvalho & Rocha, 2015). This will be executed under the standard conventions of the Soft Med systems, which, played a major role in the creation, development and the marketing of the software’s so as to assist in the maintenance of the records of the patients. Apart from the application of the ICD accommodator application system, I feel that the utilization of the chart management application systems, comprising of the chart locator, chart reserve and the chart completion will assist the employees and the team members in the conversion of data from the paper generated systems into the new applications of the technologically advanced systems. I know that it will increase the work pressure of the workers, however, the corrupted data will not be incorporated in the new database systems (Noteboom, C. and Qureshi, S., 2011). This seems to be an advantage for the workers as they can carry out uninterrupted research work on the possible ways to upgrade the standard and level of health care information and management through the utilization of these application systems. The most important application system, that I feel will prove beneficial is the development of the customer portal. This web portal will provide the platform for the service users, that is, the patients, to get information on the health care services provided by the hospital. The portal will also provide the patients with the reports of the tests that the patients had gone through for the detection of any serious illness that they might have. Through the portal, each and every kind of query of the patients regarding their diseases and other health related problems will be solved by a team of healthcare professionals (de Carvalho, Rocha & de Vasconcelos, 2016). For the successful completion of the allocated task, I think assessment and evaluation of the available resources forms the most essential step. This assessment acts as a guidance for me to decide on the next course of action. In the process of assessment and evaluation, the available statistical records and data of the Metro Hospital will come to my rescue. I, along with my team members, will carry out an in depth analysis of the first four stages and levels of the HIMSS EMR Adoption Model obtained by the Hospital. The installation, creation and development of the ancillary services was nil at the zero level. Then slowly and gradually with the expansion of the prospect and the scope of the hospital, radiology laboratories and the pharmaceutical stores were established in the first stage (Ayanso, Herath & O'Brien, 2015). The second stage saw the establishment of the possibility of documentation along with the establishment of the controlled medical vocabulary, repositories on clinical reports and the decisions for extension of clinical supports. 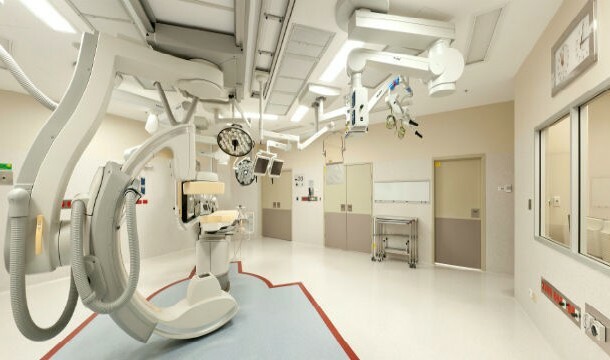 The third level saw the creation and development of documentation related to the provision of care in the flow sheets, detection of error in the presentation of the documentation and the availability of the packages comprising of the provision of facilities outside radiology. The fourth level depicts the development of the clinical protocols for the management authorities, administrative staffs as well as the service providers so as to provide quality care to the patients. The prevalence of enriched information on the adoption of four levels of the provision of integrated healthcare information to the patients along with the availability of adequate manpower and enough time limit will enable me to determine and attempt an estimation regarding the completion of the project through the availability of adequate information on the achievement areas of the hospital through the collaboration and adoption of the EMR model (de la Torre-Díez, González & López-Coronado, 2013). In addition to this, it makes me feel proud to say that the preconceived skills, knowledge and the expertise of the employees will contribute in the upgradation and improvement of the standard of the health care services through the exposure of team dynamics. Consequently, it will guide me towards the achievement of customer satisfaction and reputation for the hospital through the provision of quality health care services. I personally feel that management and evaluation forms an essential step after the completion of a task. This evaluation helps in the consideration of the possible alternatives so as to cater and meet the specified aims and objectives in an efficient way. In order to improve and upgrade the status and standard of the health care information of the Metro hospital, I will personally monitor and keep a record and track of the performance of the employees through the installation of CCTV cameras (bbc.com, 2016). This monitoring will enable me to assess and determine the completion of the project within the stipulated framework of time owing to the availability of adequate and proper resources and manpower. To bring efficiency in the provision of the health care services, I will assist the administrative staffs of the hospital in the imparting of the basic training to the employees so as to upgrade and improve their knowledge on the modern and advanced methods of provision and accession to health care information. In the process of the preparation of a research project or any other task, risks or obstacles are an inevitable aspect. These potential risks slow down the progress of the project and as a result cause delay in meeting the specified aims and objectives (Perkins, 2010). In case of this project, I am aware of the fact that I have to encounter one or more risks during the process of its completion. Lack of adequate knowledge among the care workers forms the most crucial risk. This increases the possibility of mistreatment and mishandling of the patient which can have adverse effects on the health of the patient. Provision and imparting of basic training on the provision of adequate and proper health care can help to overcome such situations. Another potential risk factor can be the lack of cooperation between the caregiver and the patient. This destroys the stability in the relationship between the care provider and the service user. As a result, it increases the possibility of conflicts (Remley & Herlihy, 2012). Strategies help an individual to progress from the initiation of the task to the completion of the task. Similarly, in the research project to take the Metro Hospital to the status of the seventh and the penultimate level of the health care information and its management process, the creation and development of the appropriate strategies will help me to proceed towards the achievement of the aims and objectives (Marth, 2013). In the process of the conduction of the research project, I will also take into consideration the health care models that are followed In Queensland and Australia as they have an intense healthcare support system. The health and social care organizations operating there have exclusive packages for the convenience of their service users, who are much benefitted from the utilization of these services along with an easy access to the customer portals. This assignment has been successful in suggesting the possible ways of upgradation and improvement in the provision of health care systems and access to health care information from the perspective of a Health Information Professional so as to take the Metro Hospital up to the seventh level of the HIMSS EMR Adoption Model. The assignment executes this along with the creation and development of proper agendas and strategies with the consideration of the availability of the potential risk management factors associated with it. Berner, E.S., 2011. Clinical decision support systems (pp. 3-22). New York: Springer Science+ Business Media, LLC. Bieber, E.J., Richards, F. and Walker, J.M., (2010). Implementing an electronic health record system. new York: Springer-Verlag London Limited. Marth, E.H., (2013). Standard methods for the examination of dairy products (No. Ed. 14). New Jersey: American Public Health Association..
Perkins, H., (2010). The social norms approach to preventing school and college age substance abuse: A handbook for educators, counselors, and clinicians. Sydney: Jossey-Bass. Remley, T.P. and Herlihy, B., (2012). Ethical, legal, and professional issues in counseling. New Jersey: Pearson Merrill Prentice Hall.